Who makes more money in the Legal Profession and the Medical Profession? The generalist or the specialist? The answer to both of these questions is of course the Specialists. But why is this? Don’t ask a Real Estate Agent or REALTOR to provide you with an explanation, because the majority of us don’t understand the benefits of establishing a Niche o r Specialization. Most agents specialize in generalities and fail to understand that MASS APPEAL = NO APPEAL. Marketing is about attracting clients, while Specialization builds perceived value. Developing or establishing a Niche Market is one of the most powerful ways to differentiate yourself as an agent. You wouldn’t schedule an appointment with your Cardiologist if you injured your knee. Yet, the average agent thinks: to capture a large share of the market, I should design my marketing to appeal to everyone. Trying to appeal to everyone is the worst thing you can do, but agents are afraid they will limit their opportunities if they don’t. 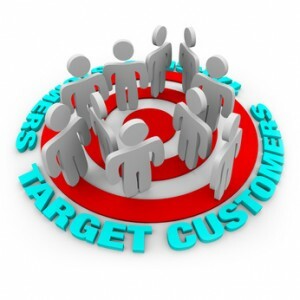 Niche Marketing gives consumers a reason to choose YOU! Focus……and you’ll dominate the market and significantly increase your income. ← Why aren’t Buyer’s Loyal anymore?